Garfield is a small city in northern New Jersey, not far from Manhattan, that sits on the Passaic River. This is the same Passaic River that William Carlos Williams wrote about in Paterson and the same Passaic River my grandmother repeatedly wanted us to throw her into: “I don’t want to be a bother – just throw me in the river.” Garfield is still a very blue-collar place with a large Polish population, enough so that the early Easter Mass at St. Stanislaus’ my grandmother would take us to was conducted in Polish. She was the only one of us who understood anything other than the three Polish words the rest of us knew: Jezus, Chrystus, and Amen. It was, and I imagine still is, an unusual place to find oneself thrust into poetry. 20 years ago or so, in Garfield, there used to be a bar on River Road, running along the Passaic, which tried very hard to be Tony Soprano-ish before there ever was a Tony Soprano. On one night a month, though, they hung a thin scrim to separate the bar from a small area with tiny circular tables and an even smaller stage and held poetry readings. 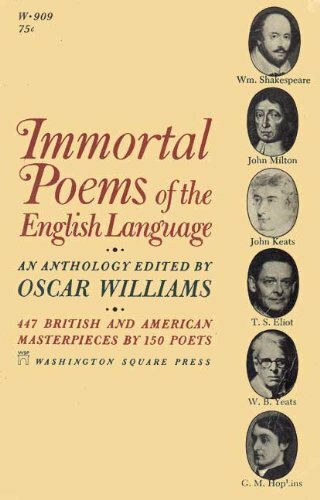 My first dose of poetry outside of a high school classroom (and the worn copy of Oscar Williams’ Immortal Poems of the English Language that I carried around with me for years) was on those nights when I would sneak into that bar. I don’t know how many normal 18 year-olds sneak into bars to see poetry readings, and don’t actually buy a beer, but few poets that I know are what most people would categorize as normal anyway. Essence, the student-run literary journal from William Paterson College (now University) is still put out every year (to the best of my knowledge) and most of the readers were students whose work made it into those pages. The thrill of sitting in that bar, someplace I shouldn’t have been anyway, with the lights low, tea candles lit at the tables, and real live poets reading their work just feet away created a seismic shift somewhere inside of me that previously had been used for common sense and sound decision making. I had wanted to study film, or go to art school, but sitting in that bar, holding a copy of that little magazine filled with poets who were never heard from again but remain larger than life to me today, utterly convinced me that I was going to be a poet. Of course back then there was never a thought of MFA programs or AWP or competing for residencies or fellowships. There was never even a thought of actually publishing a poem beyond making a bunch of copies of some 8 ½ by 11 sheets at the library to hand out to friends (and I’m not sure I even realized that there were magazines that published poetry). This was before email, so we would have to hand deliver or mail poems to each other and we kept them in different colored folders separated by which ones we thought were real poems and which ones were just cool. And then we’d occasionally sneak into the bar. I vividly recall one night where one of my favorite poets (whose name I no longer recall and I doubt I even knew then) read a poem about waiting for a train, backed by a guy playing a standup double bass. It was like the poetry reading scene from So I Married An Axe Murderer. Later, another reader started reciting his poem from the back of the room, slowly walking towards the stage holding a lit candle. He finished the poem as he reached the stage, then turned toward all of us and blew out the candle. Our minds were collectively blown. Of course as soon as I was a regular I got pinched by a new guy working the door and was told never to come back. I tried to explain that I was just there for the poetry. He laughed. Hard. So I drove away and found a diner to sit in and drink coffee. Now, having two very little kids, I don’t get to as many readings as I used to, but I still manage to get to the KGB Bar in New York every other month or so. Some days I sort of miss that innocence, that feeling that everything ahead was going to be new. But that’s the beauty of poetry, even this many years into it: there is always something new. So even as I write this, waiting for the blizzard that will apparently slam into the entire Northeast, I’m thinking about finding a good poetry reading next week, and maybe trying to sneak in. Splash of Red is an international online literary arts magazine that publishes poetry, fiction, nonfiction, art, interviews, and graphic narratives. They have published interviews with many Pulitzer Prize winners, US Poet Laureates, and acclaimed writers as well as some of the top editors and publishers in the country for their Industry Interview Series. What sets these interviews apart from others is that they focus on the readers of the literary magazine, many of whom are writers themselves. The interviews delve into writing processes of the interviewees, editing techniques, and strategies for getting around writer’s block. And the Industry Series investigates the other side of the table that writers rarely get a glimpse into in order to better their odds at getting their work published. But the meat of the publication is the fantastic submissions that come from all over the world. The name of the publication comes from three inspirations: 1) the infamous red ink in draft after draft to get the best quality writing, 2) the blood and passion that goes into only the most skillfully crafted art, and 3) great work stands out just like a splash of red. In 2010, Splash of Red organized numerous live events where authors came to speak with audiences for live Q and As. Some of the authors included Pulitzer Prize winning author Junot Diaz, famed writer Eleanor Herman, and Daniel Wallace – author of Big Fish, who spoke with eager audience members following a showing of the film based on his novel at a local independent theater. Additionally, the online magazine involved local communities by spearheading a special public mural on the New Jersey boardwalk in Asbury Park. Three artists chose three poems published on the website and created pieces of art inspired by and including those poems which were then painted in multiple large murals across the backdrop of the mid-Atlantic. Interested fans can follow Splash of Red on Twitter, Facebook, or become a member and get email updates about newly published work and events. One of the things they pride themselves on is creating an online literary arts community where readers can post comments on anything published on the website, submit art inspired by splashes of red for their Red Gallery, and involving members in creative decisions and directions for the publication including suggestions for interviewees. If you take any one thing away from this blog post, take this: check it out. The website is www.SplashOfRed.net and feel free to peruse, read, comment, and investigate at your own leisure. Make it your own and enjoy! Splash of Red is an international online literary arts magazine that publishes poetry, fiction, non-fiction, art, interviews, and graphic narratives. They have published interviews with many Pulitzer Prize winners, US Poet Laureates, and acclaimed writers as well as some of the top editors and publishers in the country for their Industry Interview Series. What sets these interviews apart from others is that they focus on the readers of the literary magazine, many of whom are writers themselves. 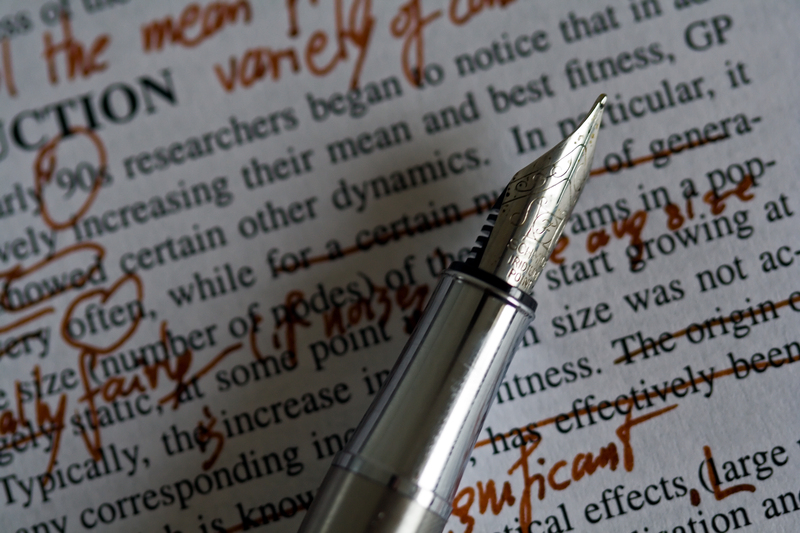 The interviews delve into writing processes of the interviewess, editing techniques, and strategies for getting around writer’s block. And the Industry Series investigates the other side of the table that writers rarely get a glimpse into in order to better their odds at getting their work published. But the meat of the publication is the fantastic submissions that come from all over the world. In 2010, Splash of Red organized numerous live events where authors came to speak with audiences for live Q and As. Some of the authors included Pulitzer Prize winning author Junot Diaz, famed writer Eleanor Herman, and Daniel Wallace – author of Big Fish, who spoke with eager audience members following a showing of the film based on his novel at a local independent theater. Additionally, the online magazine involved local communities by spearheading a special public mural on the New Jersey boardwalk in Asbury Park. Three artists chose three poems published on the website and created pieces of art inspired by and including those poems which were then painted in multiple, large murals across the backdrop of the mid-Atlantic.